A few weeks ago, CleanTech Group members interviewed Jigar Shah, the President and Co-Founder of Generate Capital. 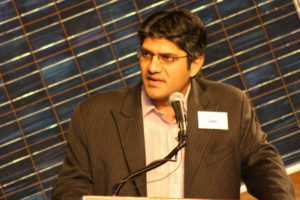 Jigar was the founder and CEO of SunEdison (NASDAQ: SUNE), where he pioneered “no money down solar” and unlocked a multi-billion-dollar solar market, creating the largest solar services company worldwide. After SunEdison, Jigar served as the founding CEO of the Carbon War Room, a global non-profit founded by Sir Richard Branson and Virgin Unite to help entrepreneurs address climate change. In 2013, Jigar authored Creating Climate Wealth: Unlocking the Impact Economy. Sustained profitability of most of the Clean Energy ventures is still uncertain, with a high rate of failure or unprofitability. In your opinion, what are the biggest barriers to profitability of Clean Energy industry in the US and abroad? Which ones are the easiest to overcome? The biggest barrier to profitability is certainty of market and discipline. Many companies set out to sell their services to utility companies which have proven adept at slowly starving companies with pilot projects. Other companies are in the fast-growing consumer sectors but lack the discipline to pursue profitable growth. While Scott Pruitt has been appointed to head the EPA, Rick Perry, under whom Texas became the Wind Energy leader, has been appointed the Secretary of Energy. What could be the effects of the new government’s policies on Clean Tech industry? Or, have the market forces become strong enough for the Clean Tech sector to grow on its own, and even with unsupportive policies? Clean Tech as an industry achieved irreversible momentum several years ago. Today, decision makers are choosing these technologies because they save money and are more reliable, not because they save the planet. This race has long been over, now we just have to wait for the infrastructure to turn over in the next 30 years. What is your advice to the deans of leading business schools with respect to strengthening the Clean Energy industry? In general, Clean Energy has proven to be about business model innovation (SunEdison, Opower) not technology innovation. In fact technology companies have not proven able to maintain any IP advantages. In your book ‘Creating Climate Wealth’, you have emphasized on boosting entrepreneurship within the Clean Tech sector, unlocking a multi-trillion dollar Impact Economy. What are the most important challenges for entrepreneurs, and what are possible solutions according to you? Boosting entrepreneurship has not been a problem as people are streaming into the sector. The challenge has been pointing those entrepreneurs into growth and deployment. In general, we have sufficient solutions to meet near term deployment goals, we need problem solvers to overcome consumer inertia. Many people believe that next great frontier in energy is storage, especially with its potential to directly impact transportation. Is the hype justified? In general, the hype is usually never justified. That being said, the advent of EVs and the proposition of car ownership remaining a dominant paradigm means that with just 50,000,000 EVs we will have enough battery capacity to back up the entire US electricity grid. This means that the variable nature of renewables on the grid should never pose a problem so long as we have an approach to dispatch and manage these assets by 2025-2030 which should be easily doable with 2010 technology.